Jens Hoyer's love of photography started in early childhood. After the invention of the digital camera, his passion was once again stirred and his led him to purchase his first DSLR camera. An invitation to be a guest racer on the original America's Cup yachts „Kiel“ and „Valencia“ during a sailing event in Germany was a defining event and the beginning of a story full of power and passion. 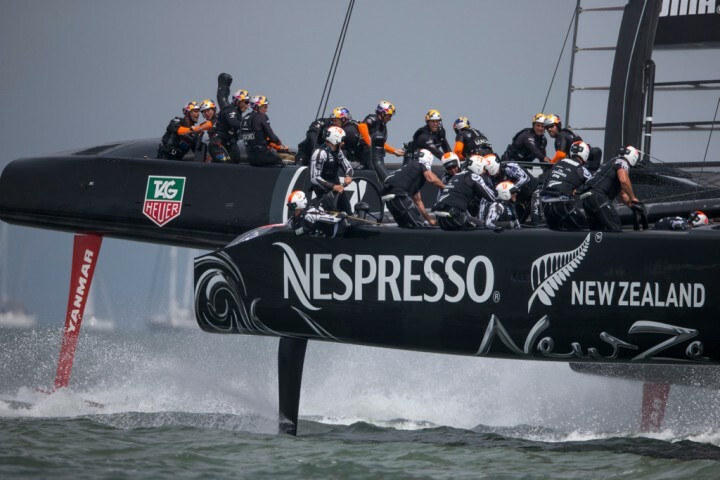 After a while he got in contact with the Cup again and decided to take part in the 34th America's Cup. Since the Cup is not well known in Germany, he was the only German photographer on board. The taste of the salt air and the superior result of his photos compelled him to continue following the AC World Series in all its stages around the world, until the finals arrived. Many magazines have already taken his photos for their reports about America's Cup. Subsequently he was in San Francisco for 3 month starting in July, to cover the Louis Vuitton Cup, the Youth America's Cup and the America's Cup Finals. He was the team photographer for the All In Racing Team Germany during the Youth America's Cup. He has delivered plenty of emotional, closeups and unique pictures of one of the hardest and fastest sailing regattas.